Model railroading is a lot more fun when we achieve some degree of success early in the process. Having a layout that never reaches critical mass or doesn’t run reliably just isn’t that enjoyable. I believe not having a satisfying first experience is the reason a lot of people leave the hobby in frustration. 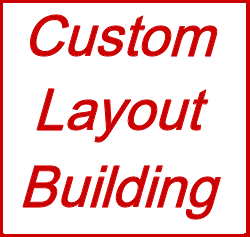 One of the largest reasons people do lose interest in the hobby is that they take on layouts that are simply too large and/or too complex. The newcomer often bites off too much before they have the skills to build a large layout. Newcomers also get sent down the wrong path by choosing one of the ultra complex spaghetti bowl layouts featured so frequently in track planning books. Mislead by the 4′ x 8′ size of the stereotypical spaghetti bowl starter layout, the newcomer doesn’t realize that radical elevation changes, up and overs, and the numerous curves common in the 1950’s era spaghetti bowl plan makes them poor candidates for a layout that can be built reliably on the first try. Veteran hobbyists aren’t immune to biting off too much either. Even experienced modelers grossly misjudge how little time they have to work on the layout and take on something too large. Veteran’s who enjoy prototypical operating sessions often grossly misjudge how hard it can be to round up the necessary crew members on a consistent basis and then watch as their grand vision sits idle in the basement. 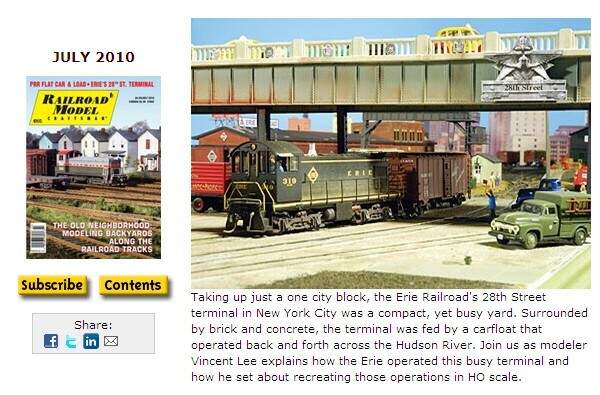 The July issue of Railroad Model Craftsman features one of the best conceived layouts I’ve seen in some time, Vince Lees 28th Street Terminal. Vince laid two hollow core doors end to end and rather convincingly modeled the prototype. He built it using readily available components and kept it simple on all fronts. Simple doesn’t mean un-sophisticated. 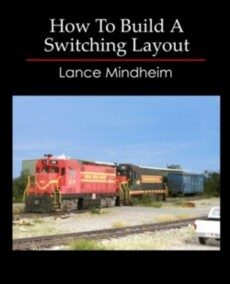 When the situation calls for it, the layout can keep four operators occupied for four hours. It’s really the perfect combination of a scope that can be completed in a reasonable period of time and still hold a lot of interest for the real diehards. I point Vince’s layout out because it is a great example of matching a modelers interests with a realistic and attainable concept. Any newcomer could pick up two doors, carefully lay down some Atlas track, hook up a power pack and have a bullet proof model railroad right out of the chutes. After they get it running they could go back and add more detail. That sounds like a lot more fun to me than wrestling an 18″ curve up a 4% grade for an overpass on the old spaghetti bowl designs.